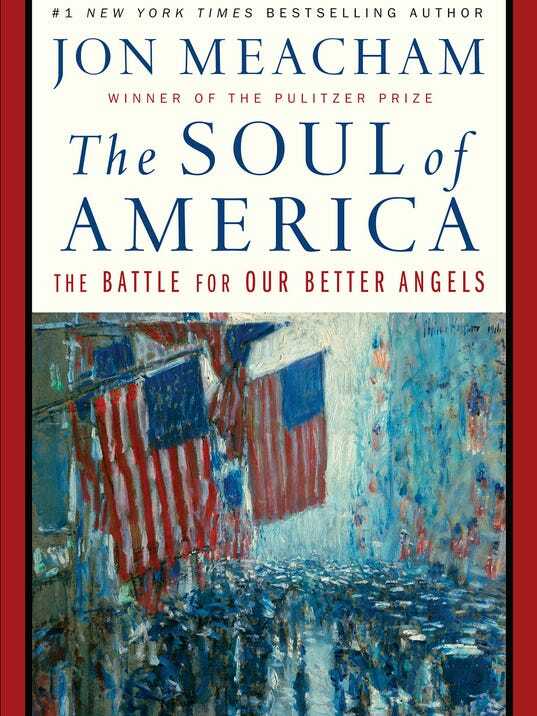 I recently finished reading Jon Meacham's The Soul of America: A Battle for our Better Angels (Random House 2018) and Jeremy Waldron's One Another's Equals: The Basis of Human Equality (Belknap-Harvard 2017). These are two very different books, aimed at very different audiences. A year and a half ago, I suspect Jon Meacham had no intentions of writing The Soul of America. This book owes its existence and its purpose to the surprise presidency of Donald J. Trump. That it was somewhat hastily written is evident, but Meacham writes so well that it remains eminently readable. That is a good thing because this book is intended for the widest possible audience, including both supporters and detractors of Donald J. Trump, though more for the later group. Meacham wants to calm their present fearfulness by nothing several other occasions in US history, where the shadows cast were even darker and more foreboding, but ultimately progressivism triumphed. The histories Meacham recounts should be part and parcel of every American's education. Sadly, they are not. This is not just a book for Donald Trump's time, but a reminder of the political challenges Americans have faced since the founding of the Republic. It should be read by everyone - though I know at least one celebrity/politician who will not read it. Jeremy Waldron's book is not written for everyone. It would be nice if we were all interested in basic questions of moral philosophy. Alas, we are not. But for those who are concerned with moral philosophy, generally, and the grounding of arguments for equality, in particular, it is a very important contribution. Not only does it point out both the value of, and problems with, existing arguments for basic equality but it sets the parameters (range and scope properties) of what a successful theory of basic human equality would require. Waldron does not claim to discovered (yet) such a successful theory, but his book is intended to point us in a better direction. 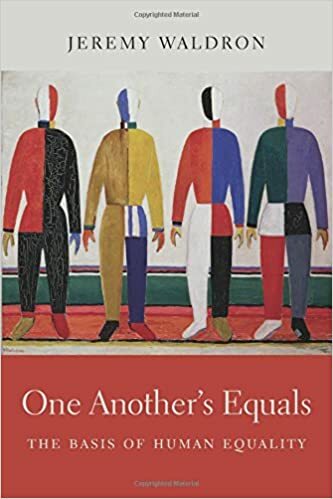 Personally, I'm not sure (in fact, neither is Waldron) that we will discover a complete, consistent, and satisfactory grounding for basic equality, in part because of the very complexities of human nature and societies that Waldron notes in the book. In my view, morality is not a brute fact about nature, which humans can discover. Rather, it is a social construct - a valiant effort by humans to impose notions of fairness and equality on a planet in a universe in which neither naturally exists. As such, any effort to discover a complete, overarching theory of equality is bound to fail. Which doesn't mean we should simply give up on the project. Instead, we should focus, as Amartya Sen argues in his profound 2009 book, Idea of Justice, on solving discrete problems of inequality as we confront them, with the foreknowledge that we will never run out of problems to solve. As Karl Popper said, "all of life is problem solving."